Model in a Bottle and Mac Fix+ both are both makeup fixers, with each claiming to do a slightly different job. Model in a Bottle claims to be a translucent matte finish fixer that has resistance to 'smudging, tears, humidity and water'. Mac Fix+ on the other hand claims to moisturise and add radiance while fixing your makeup. I bought this during the warm months when I was favouring a very powdered look but it wouldnt last until the end of the day. 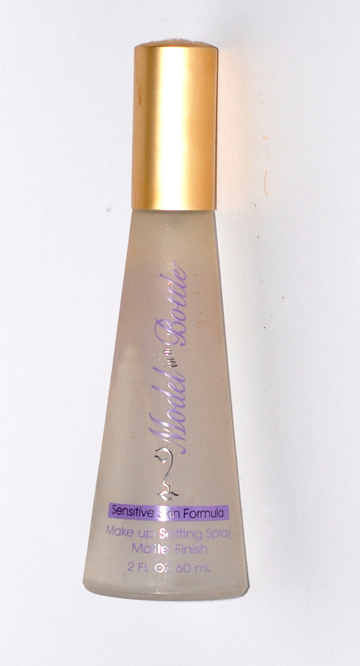 I have the sensitive formula which smells mainly of lavender but also quit alcohol-y. The Model in a Bottle liquid is contained in a heavy glass bottle with a spray top, you are advised to spray 2-3 sprays from 12 inches away and keep your eyes closed for 30 secs until the spray has dried. I find this sprays in quite large droplets which can sit on the face and look almost shimmery before its dried, its not unpleasant to spray and dries quite quickly. At first, my make up was definitely fixed, in fact I would say it was completely set. My face felt quite tight and reminded me of the feeling of hair spray on the face. For the first few hours my make up stayed perfect, but after that the oil breakthrough started. I dont have a hugely oily face, just a bit of excess in my t-zone and down the sides of the nose but in these areas my make up had completely dissappeared as though i'd taken makeup remover to just these patches. Of course I tried to touch up and reapply foundation but the other areas of my face were so set and matte that I looked a patchy mess! 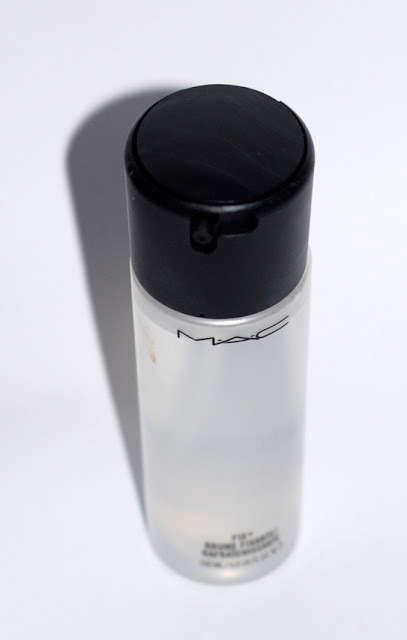 Next- Mac Fix+ £12.50 for 100ml: I bought this a few weeks ago as I've been favouring the dewy/glowy look much more recently and thought it might help me with makeup longevity without powder. This formula smells quite fruity and not strong or alcohol-y at all, which I was pleased with as I didnt want to dry out my skin in the winter months. The liquid is contained in a large plastic bottle with minimal writing and a pump cap that can be closed by twisting, sprays should be made from 12 inches away and it can be used before or after makeup. The Fix+ comes out in a much finer spray than MOIB and dries much quicker, the skin looks hydrated but not sticky and it takes away the 'powdery' look if you are wearing powder. My makeup did last slightly longer using this spray, but it wasnt a complete miracle- I found the best thing was to use a few spritzes during the day to refresh tired looking makeup. I would say that this isnt the best product for making your make up last perfectly all day but its great for creating a glowy look and refreshing a tired looking face. One last point- Model in a Bottle contains a few controversial ingredients such as alcohol, parabens and fragrance, Fix+ contains vitamins, minerals, green tea, cucumber, chamomile... you get the idea. I found Fix+ to be the better of the two- more suited to my skin type and the dewy makeup look I enjoy at the moment. Some have also said they spray their eyeshadow/liner brushes with the liquid which helps to enhance the colour and longevity of the products. 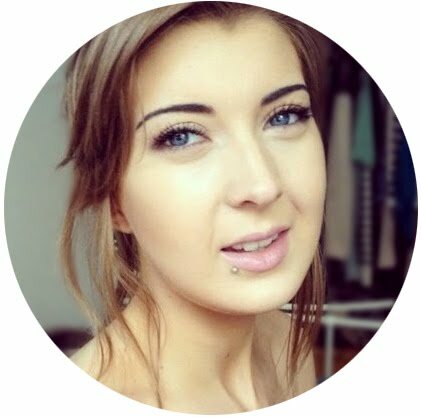 What are your favourite make up fixers or refreshers?